.+.ﾟ *:.+.ﾟ *:.+.ﾟ *:.+.ﾟ *:.+.ﾟ *:.+.ﾟ *:. 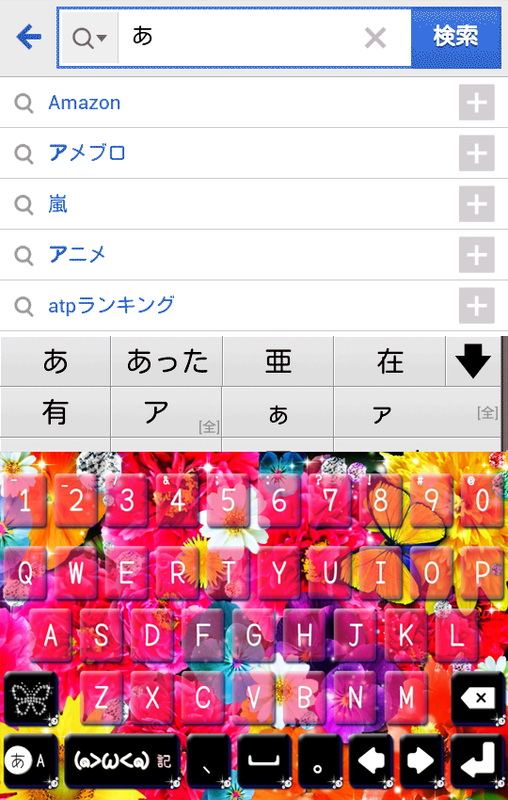 is a free theme of Kisekae keyboard app "Yahoo!Keyboard"!
. + ° *:... + ° *:.. + ° *:.. + ° *:.. + ° *:.. + ° * :. It is an application that you can dress up the design of thekeyboard for free! Yahoo! keyboard you can be installed from here! ☆ dress up the keyboard that you use every day! Simple, musteringfrom cool system to the cute system! ☆ from a learning function and user dictionary also easy to use, itdoes not let go anymore Become a convenient enough to use it! ☆ safe and secure design of Free Dress emoticons keyboard! Yahoo!keyboard is a yahoo official app. Free dress-up theme of the keyboard, face character is anadditional scheduled one after another! ! 1. I will install the Yahoo! keyboard. 2. Tap the Yahoo! keyboard icon, and then the setting of thekeyboard. Setup is completed soon! You will be able to keyboard dress-up orface character input! "New," "special," "smile" Just pick your favorite character fromthe face emoticons categories like! Popular emoticons that are carefully selected Gotham. Will be addedone after another is fun emoticons in the future! Of course, the pictogram input of each carrier as well as emoticonssupport! 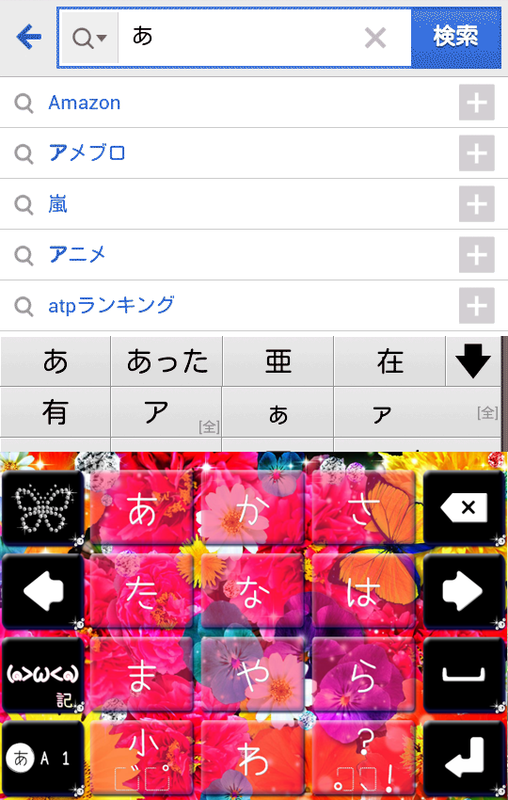 You can use immediately useful features from the "menu" button onthe keyboard (Japanese input). · "Kisekae": dress-up at any time free of charge. Keyboardbackground, button of shape, you can dress up the whole untilfont. - "Display switch": You can switch mobile phone sequence and PCarray of keyboard input the (QWERTY) with one tap. • The "user dictionary": By the dictionary registration, forexample, by typing "mail" can be converted as"○○○@yahoo.co.jp". · "Mushroom": we will work with the corresponding application. Youcan easily input by copying the addy of friends, for example, fromthe phone book. - "Learning function": by learning the contents of the input, it isa feature that the more conversion is easier to use it. Alsoremaining face character of history. - "Settings": selection and of mobile strike-flick input, left andright approach, the height of the keyboard (resizing), etc., youcan customize fine. "KeyPalet (key palette)" Womochimashite March 31, 2015 has beenchanged its name to "Yahoo! Keyboard". Thank you very much the KeyPalet revised Yahoo! keyboard in thefuture. This application, Yahoo! JAPAN Terms of Service (including softwareguidelines) on the check, please use.